Western Europe car sales will shrink during the rest of this year and the first half of next year, Ghosn says. MARRAKESH, Morocco (Bloomberg) -- Renault SA forecasts that western Europe's auto market will only recover in 2012 as the after-effects of state sales incentives linger next year, CEO Carlos Ghosn said. Industrywide car sales in western Europe, which fell 3.4 percent in the nine months through September, have declined this year as government scrappage programs and other incentives expire. PSA/Peugeot-Citroen SA predicted on Oct. 20 that the contraction in Europe this year may amount to 5 percent. In contrast to Ghosn, Peugeot CEO Philippe Varin is forecasting a recovery starting in 2011. 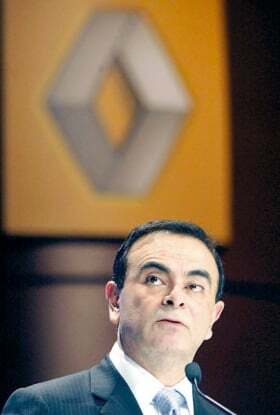 Renault is building a car factory in Tangiers, Morocco, that Ghosn said will start production in 2012. The 1 billion-euro ($1.39 billion) plant will have annual capacity to build 400,000 vehicles, with 10 percent to 20 percent to be sold in Morocco and surrounding countries. Japanese alliance partner Nissan Motor Co. meanwhile needs to find more capacity to supply the Middle East because, while Chinese and Indian plants can provide vehicles to the region, “it's not going to be sufficient because this market is going to continue to grow,” said Ghosn, who is also head of Nissan. Supplies of rare-earth metals are “not an issue for Renault-Nissan,” as the partners already have a diversified supply and raw-material providers investing in gaining more sources of the materials in the medium term, Ghosn said.